Below are common questions we receive and the answers you’re looking for. If you can’t find the help you’re looking for, please call or contact us. Click a question to reveal the answer then click a new question for more answers! Contact an Account Executive directly at 919-595-8200. Yes! If you need to take a course that is not on our schedule or not available at the right time, we will work with you to find the best solution. Contact us at 919-595-8200 or sales@nationalbusinesstraining.com to discuss available options. National Business Training must be notified in writing 7 or more business days in advance of your scheduled class date should you need to withdraw, cancel, or reschedule your reserved seat in the class. This will secure your ability to reschedule or receive a refund. Withdrawals, cancellations, or rescheduling notifications, (late cancellations), received in writing less than 7 business days prior to a scheduled class will not receive a refund or cancellation of unpaid invoice. Late cancellation notifications will be given one opportunity to reschedule. A reschedule fee of up to $75 and the cost of any additional labs may be required depending on the delivery mechanism. The reschedule applies to the same class and must be within 6 months from the originally scheduled class date on a space available basis. All fees must be paid in full before the rescheduled enrollment will be confirmed. Additional special terms and conditions may also apply if the purchase is part of a special sales promotion. Classes may be rescheduled or cancelled by National Business Training due to low enrollment or for other business reasons. National Business Training must be notified in writing 7 or more business days in advance of your scheduled class date should you need to withdraw, cancel, or reschedule your reserved seat in the class. This will secure your ability to reschedule or receive a refund. Withdrawals, cancellations, or rescheduling notifications, (late cancellations), received in writing less than 7 business days prior to a scheduled class will not receive a refund or cancellation of unpaid invoice. Late cancellation notifications will be given one opportunity to reschedule for a fee of $250 and the cost of any additional labs. The reschedule applies to the same class and must be within 6 months from the originally scheduled class date on a space available basis. All fees must be paid in full before the rescheduled enrollment will be confirmed. Additional special terms and conditions may also apply if the purchase is part of a special sales promotion. Classes may be rescheduled or cancelled by National Business Training due to low enrollment or other business reasons. National Business Training will publish closures and delays alongside other school closings on Channel 5 WRAL News. To check status online, go to http://www.wral.com. For more details, please call 919-595-8200 for delay or closing information. There will be an alternate greeting that states the current date and whether the center is open as normal, delayed (with the open time) or closed for day and/or night classes. If the center has lost power there will be no greeting and students can assume that the center is closed. 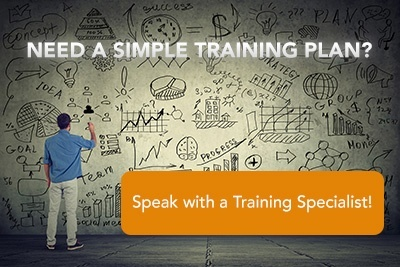 How do I get to National Business Training? 5400 S. Miami Blvd., #150, Durham, NC 27703. Our facility is in the Creekstone Crossing shopping center behind Wendy’s and Atlantic Tire, and across the street from Randy’s Pizza. Exit 281, Miami Blvd. Turn left at the light. Go through one stop light, then look for the entrance to the plaza on your right.